ALL ORDERS REQUIRE 1 TO 2 BUSINESS DAYS PROCESSING TIME UNLESS OTHERWISE ARRANGED AND CONFIRMED. ORDERS PLACED AFTER 3PM WILL NOT BE SHIPPED THE FOLLOWING DAY! PLEASE NOTE: DELIVERY IS NOT AVAILABLE FOR SATURDAY, SUNDAY OR MONDAY. 1 to 2 business days where available. If 2 business days, order will not be shipped after Wednesday. 2 business days in transit- will not be shipped after Wednesday. 1 business day in transit. Will not be shipped later than Thursday. **This is the an option to guarantee Tuesday delivery. Especially MARDI GRAS DAY! 1 business day. Will not be shipped later than Thursday. **This is the ONLY option that may have cakes arrive in the morning, depending on delivery area. Orders placed between Friday 3pm and Monday 3pm will be shipped out the following Tuesday. We are located in Lafayette, LA. **Please be aware that cakes are exposed to many different environments that are beyond our control during shipping. 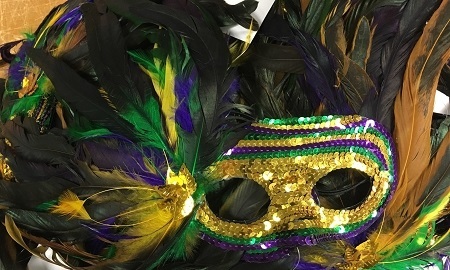 Thank you for your interest in Meche's King Cakes!! 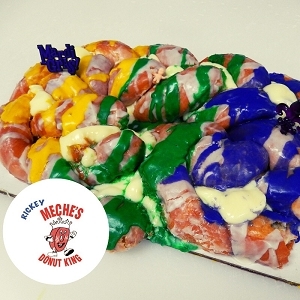 Copyright Meche's King Cakes Online. All Rights Reserved. eCommerce Software by 3dcart.